DUBAI, 12th August, 2018 (WAM) -- Another major step towards connecting with China’s leading dispute resolution centres was taken by the Dubai International Financial Centre Courts through the singing of a Memorandum of Guidance, MoG, with the High Court of the Hong Kong Special Administrative Region of the People’s Republic of China (Hong Kong High Court). Devised as a practical mechanism to foster investor confidence and legal certainty, the MoG will serve as technical guide for the international legal and business communities on recognition and collection of money judgments in DIFC and Hong Kong. Last year, trade between the UAE and Hong Kong alone totaled US$10.87 billion, up from US$10.59 billion in 2016. This figure is expected to rise further as Hong Kong consolidates its position as a leading commercial hub supporting the US$5 trillion Belt and Road Initiative. The expansion in trade and investment between UAE, Hong Kong and mainland China means that disputes become increasingly inevitable, making the role of international commercial courts more important than ever before. The MoG was signed between Michael Hwang SC, Chief Justice at DIFC Courts, and Justice Andrew Cheung of the Hong Kong High Court. Speaking at the signing, Hwang said, "This year, the UAE and China have entered into a new phase of cooperation. Our new alliance with the Hong Kong High Court will not only provide guidance to parties with commercial claims before our two courts, but will also result in greater trade security for Chinese and international businesses and investors, securing participation in Hong Kong and mainland China’s growth." The agreement comes at a time when UAE-China relations are at an all-time high, following President Xi Jinping’s three-day visit to the UAE in July. Bilateral trade between the UAE and China is forecast to grow to $70 billion by 2020, and under ‘One Country, Two Systems’, Hong Kong has long established itself as one of China’s key financial centres. 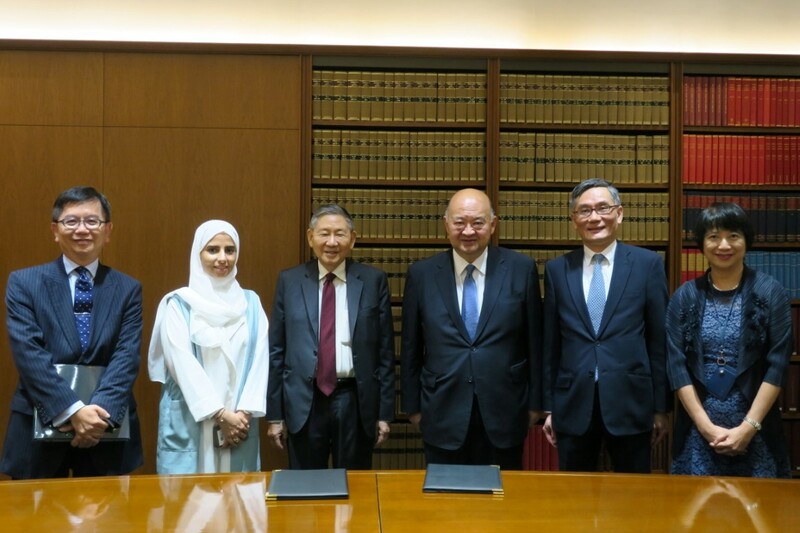 Amna Al Owais, DIFC Courts’ Chief Executive and Registrar, accompanied DIFC Courts’ Chief Justice to sign the MOG in Hong Kong, following visits to the Shanghai High People’s Court, Zhejiang High People’s Court, and Hangzhou Internet Court. The DIFC Courts’ visit to mainland China and Hong Kong follow memoranda signed with the Shanghai High People’s Court in 2016 and with the Hangzhou Arbitration Commission in 2017.